Hydration: How Much Water Do You Really Need? The question of how much water your body needs to stay hydrated can be a bit tricky. Is it eight glasses a day? Half your body weight in ounces? These are easy rules to follow when trying to stay hydrated. But is there really a definitive answer to how much water is needed on a daily basis? Because we all have very different hydration needs that vary depending on our health, activity level, diet, and climate, there is no specific “one size fits all” recommendation. However, one thing is certain, and that’s the fact that water is critical for each and every one of us. Water makes up 60 percent of our body weight, and can vary depending on size and gender (1). Hydration can come from water, food, or metabolic water production. Generally speaking, healthy adults should drink a minimum of 2 liters, or 8.5 cups, of water or fluid every day. However, that can vary greatly from person to person (1-4). While considering optimal hydration there are a few factors to keep in mind. You must take into account the intensity of your fitness routine, the temperature outdoors, current health status, and, for the ladies, being pregnant or lactating (2-4). Athletes who engage in vigorous activities have hydration requirements greater than those individuals who are sedentary by about one to three cups per day. Performing exercise for extended periods of time, especially over an hour, makes electrolytes (sodium and potassium) imperative to hydration. Replacing electrolytes that are lost through sweating helps avoid the condition of having too little sodium in your blood (2-4). Similarly, living in warm weather with high temperatures or humidity causes greater fluid loss than that of individuals living in more temperate climates. For this reason additional fluids and electrolytes are recommended for people lucky enough to live where the sun always shines (2-4). Fluid intake becomes even more variable if you are sick or are experiencing vomiting or diarrhea. Those who have chronic health conditions that prevent normal fluid release or abnormal fluid retention should discuss their hydration needs with a physician (2-4). Lastly, pregnant or lactating women require more fluids for adequate hydration in the range of 10 to 14 additional cups per day. Putting their recommended daily fluid intake level to around 4.5 liters or 18 cups (2-4). Optimal hydration can be reached through drinking various fluids and by eating water-dense foods. Findings from a recent study from the Journal of the American College of Nutrition suggest that regardless of the fluids ingested, the body knows how to use them for optimal hydration (5). Researchers observed a group of healthy males, randomized to varying sources of hydration for 24 hours. They were randomized to either consume water, water and diet soda, water and regular soda, or water with regular soda, diet soda, and orange juice mixed. After testing the subjects’ urine for biological markers of hydration and dehydration, the scientists discovered that all of the men were adequately hydrated. Coffee, despite some common beliefs, is also a good hydrator. While early research may have observed that coffee can induce urination in some people, later research confirmed that it does not in any way contribute to dehydration of any part of the body and it can be useful in providing hydration over the course of the day (1). Hydration through coffee, which is also positively associated with better mood and cognition, is a win-win in terms of both its hydrating and uplifting benefits (5-7). Most recently, scientists have proposed milk and whey to be good sources of optimal hydration. In the Journal of Food and Nutrition Sciences, a study looked at the components of milk and whey proteins as an alternative source for hydration and rehydration after exercise. Due to the branched-chain amino acids, natural electrolytes, and longer feeling of satiety that whey-based foods offer, they are a superior source of hydration and rehydration (8). Whey-based protein recovery drinks and meal replacement shakes do count toward hydration and provide added satiety. Hydration is paramount to health and wellness and can even contribute to weight gain or weight loss. It’s no secret that sugary beverages, laden with empty calories, could be one of the culprits leading to global obesity (9). However, sugar-free drinks like water, coffee, and tea have been linked to better weight-loss success. As described in the European Journal of Obesity, there are many beneficial effects of ample fluid intake on potential weight loss and weight maintenance, because the act of ingesting healthy fluids can help prevent the ingestion of excessive calories from foods (9). Also, proper hydration plays a role in counteracting overeating. Thirst can often be mistaken for hunger so food is eaten instead of drinking water or other fluid (1). A good idea is to first hydrate with a glass of water, a cup of coffee or tea, or any other sugar-free beverage before grabbing a snack. Staying properly hydrated also plays a role in thermoregulation. A body that is properly hydrated burns more calories than a body that is dehydrated. Some water-containing fluids can help, too. Coffee is also rich in polyphenolic compounds and caffeine, which are linked to increased metabolism that provides the potential for greater calories burned (10). When determining personal water and fluid intake needed for optimal hydration, one of the best things to remember is to not become thirsty. Achieve this by drinking plenty of plain water, in addition to other healthy fluids like coffee, tea, electrolyte-enhanced beverages, and whey-based protein drinks. Eating plenty of water-dense fruits and vegetables, such as cucumbers, bell peppers, and watermelon, contribute to optimal hydration as well. Also be sure to add plenty of delicious and healthy drinks and water-dense produce to meals and snacks. Optimal hydration doesn’t have to mean chugging down jugs and jugs of water, but can be achieved with a variety of fluids and delicious foods. Lafontan M. Visscher TL. Lambert NF et al. Opportunities for intervention strategies for weight management: Global actions on fluid intake patterns. Euro J Obesity. 2014. 10. Hydration: Why it’s so important. American Academy of Family Physicians. http://familydoctor.org/familydoctor/en/prevention-wellness/food-nutrition/nutrients/hydration-why-its-so-important.html. Aug. 12. 2014. Sterns RH. Maintenance and replacement fluid therapy in adults. http://www.uptodate.com/home. 2014. Mayo Clinic Hydration Resource. September 5. 2014. Mayo Clinic Web Site. Tucker MA. Ganio MS. Adams JD et al. Hydration status over the 24-H is not affected by ingested beverage composition. J A Coll Nutri. 2014. Masento N. Golightly M. Field DT. Butler LT. Van Reekum CM. Effects of hydration status on cognitive performance and mood. Brit J of Nutri. 2014. 111 (10) 1841-1852. Lucas M. Mirzaei F. Okereke O et al. Coffee, caffeine, and risk of depression among women. Arch Intern Med. 2011. 26 (17): 1571-1578. Pegoretti C. Antunes AE. Gobatta F et al. Milk an alternative beverage for hydration. Food and Nutri Sci. 2015. 6. 547-554. Borys JM. Ruyter JC. Finch H et al. Hydration and obesity prevention. Euro J Obesity. 2014. Rustenbeck I. Lier-Glaubitz V. Willenborg M et al. Effect of chronic coffee consumption on weight gain and glycaemia in a mouse model of obesity and type 2 diabetes.Nutr Diabetes. 2014. 4:e123. Everyone knows exercise is good for you – for everything from reducing the risk of chronic disease to improving our quality of life (1). But, which is best? Like diet fads, new workout fads come and go. It’s hard to keep up and decipher which type of exercise is most beneficial, especially when it comes to weight loss. Is it cardio, strength training, or high-intensity exercise? Exercise researchers have tackled this question time and time again. Their results: It’s complicated. A study out of Duke University compared aerobic exercise, resistance exercise, and a combination of the two in a group of overweight or obese adults (2). For weight loss alone, the study found that the best results in terms of pounds lost comes from aerobic exercise. However, the weight loss from the participants doing aerobic exercise also included the loss of lean muscle. In contrast, the resistance exercise group gained weight due to an increase in muscle mass, while the combination group lost slightly less weight compared to the aerobic group. The combination group also experienced the greatest reduction in waist circumference. The result suggests that there’s potential for a greater loss of inches with a smaller overall weight loss resulting in better body composition. For those who solely desire weight loss, more cardio could be the answer. However, research has shown that for those who want to improve overall body composition, the best exercise is going to be a combination of both cardio and strength/resistance training. A good way to combine cardio with strength training in a short amount of time is high-intensity interval training (HIIT). Studies have consistently shown that HIIT leads to greater fat loss, specifically abdominal fat loss (3). HIIT typically involves alternating intense bouts of exercise, ranging from 30 seconds to several minutes, with recovery periods spanning one to five minutes. 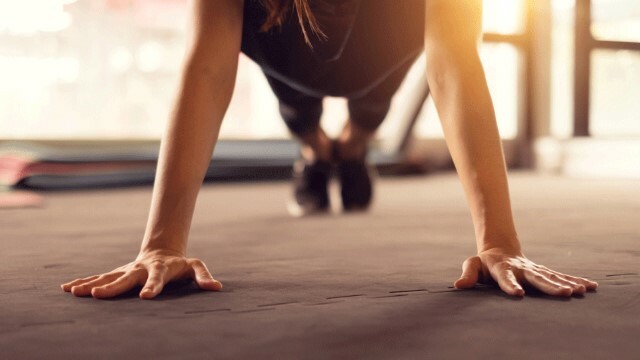 HIIT can incorporate cardio moves, body-weight exercises, and weightlifting, making it a form of exercise that works for people with a wide variety of fitness goals. Notable for its incorporation of the nutritional timing of protein, HIIT, stretching, and endurance and resistance training, the PRISE protocol allows participants to benefit from each type of exercise. With the PRISE protocol, each exercise is performed one day per week. Studies that have evaluated effectiveness of PRISE have found that its integration of nutrition and training leads to significant reductions in body fat (4-6). Additionally, the protocol leads to greater gains in muscle mass and improved cardiovascular health (4-6). The most important factor for weight loss is improving your eating habits. The best exercise to participate in is generally going to be the one that’s most enjoyable since you will be more likely to commit to it. Yes, physical activity can make a stark difference in your weight loss efforts, but exercise alone rarely makes the biggest difference. The most important thing to keep in mind is that successful long-term weight loss is nearly always reached by a healthy balance of both exercise and nutrition. Boutcher SH. High-intensity intermittent exercise and fat loss. J Obes. 2011; 2011:868305. doi: 10.1155/2011/868305. Epub 2010 Nov 24. Arciero PJ, Ives SJ, Norton C, Escudero D, Minicucci O, O’Brien G, Paul M, Ormsbee MJ, Miller V, Sheridan C & He F. Protein-Pacing and Multi-Component Exercise Training Improves Physical Performance Outcomes in Exercise-Trained Women: The PRISE 3 Study. Nutrients. 2016 Jun 1; 8(6). Ives SJ, Norton C, Miller V, Minicucci O, Robinson J, O’Brien G, Escudero D, Paul M, Sheridan C, Curran K, Rose K, Robinson N, He F & Arciero PJ. Multi-modal exercise training and protein-pacing enhances physical performance adaptations independent of growth hormone and BDNF but may be dependent on IGF-1 in exercise-trained men. Growth Horm IGF Res. 2016 Oct 15. pii: S1096-6374(16)30060-0. As you build your fitness level, try shortening the length of your steady pace intervals and working at a higher intensity for longer periods of time. (Feel free to adjust the length of your intervals as needed.) If, for example, you aren’t able to fully catch your breath during your recovery period, you may need to take more time in between your work intervals as you boost your stamina. Steady state (3 minutes): Walk briskly, enough that your breathing is elevated, but you can still talk easily. High-intensity (1 minute): Walk as quickly as you possibly can. At this pace your breathing should be very labored; talking is difficult. Recovery (1 minute): Walk at a comfortable pace, and focus on catching your breath. Cooldown (2 minutes): Continue to walk at an easy, comfortable pace. National Nutrition Month is a great opportunity to discuss one of the most important heart healthy nutrients in your dietary arsenal: the long-chain, omega-3 fatty acids eicosapentaenoic acid (EPA) and docosahexaenoic acid (DHA) from fish. In addition to EPA and DHA, omega-3 fatty acids also include alpha-linolenic acid (ALA), which is present in some vegetable oils, nuts, seeds, and green leafy vegetables. Although ALA is the natural precursor to the longer-chain EPA and DHA, this conversion is slow and inefficient in humans. For this reason, most experts recommend increasing dietary intake of EPA and DHA from “fatty” fish such as mackerel, sardines, and salmon, or from high-quality dietary supplements such as IsaOmega™. We know there are heart-health benefits from a diet rich in omega-3 fatty acids, but few know the story behind the discovery of this nutrient’s role in heart health. Although omega-3 fatty acids were identified many decades ago as cellular membrane components, they were thought rather unimportant and had no specific or unique function. But that all changed in the late 1970s when two Danish researchers, Drs. Hans Bang and Jørn Dyerberg, reported Greenland Inuit had lower concentrations of heart-damaging blood lipids (cholesterol, LDL-cholesterol, triglycerides) when compared to a western (Danish) population. The researchers hypothesized that this cardioprotective profile was also consistent with better heart health reported in these individuals. Moreover, Bang and Dyerberg also documented that despite a very high fat diet, as a result of their copious intake of seafood, the Inuit population consumed an extremely high dietary intake of omega-3 fatty acids resulting in a correspondingly high concentration of omega-3 fatty acids in their blood (1-3). But the heart-healthy benefits of EPA and DHA from fish or fish oil supplements were not solely due to their impact on blood lipids. Bang and Dyerberg also speculated that the heart healthy benefits attributed to a higher than average omega-3 fatty acid intake were also due to the ability of these fats to interfere in the biosynthesis of eicosanoids (including the prostaglandins and thromboxanes) (4). Under normal conditions, these hormone-like, cell signaling molecules stimulate processes that result in restricting blood flow and increasing blood clotting. The omega-3 fatty acids actually inhibit these pathways, hence, improving cardiovascular health. Additional, scientifically supported mechanisms behind the cardioprotective benefits of EPA and DHA include their ability to affect membrane fluidity and alter cellular signaling pathways (5,6). Finally, beyond their metabolism to eicosanoids these fatty acids are also converted to a family of metabolically beneficial lipids called resolvins, protectins, and maresins (7). Collectively, the omega-3 fatty acids provide potent biological activities that beneficially impact numerous cellular pathways resulting in cardiovascular health benefits. To ensure an optimal intake of heart-healthy omega-3 fatty acids (EPA and DHA), you can include daily supplementation of IsaOmega along with regular intake of fatty fish twice per week (8). 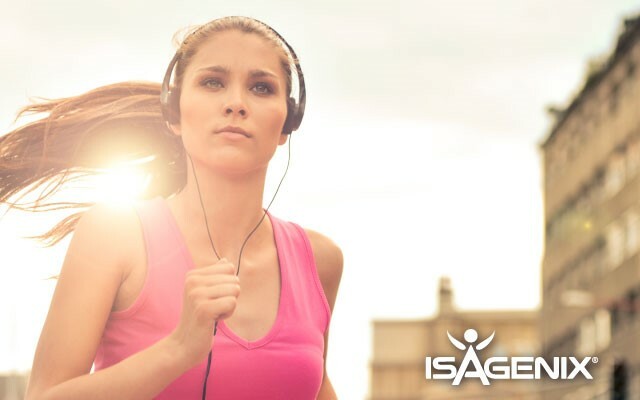 IsaOmega is a high-quality fish oil supplement providing over a gram of omega-3 fatty acids and is an excellent source of EPA and DHA. In addition to daily consumption of long-chain omega-3 fatty acids from products like IsaOmega, you can also try other cardiovascular health supporting products such as CytoActives™ and AMPED™ NOx. In addition to supplementation, it is important to follow the recommended daily intake of fruits and vegetables, and include daily physical activity in your lifestyle to help your heart health, not only during Nutrition Month but all 12 months of the year. Bang HO, Dyerberg J, Hjøorne N. The composition of food consumed by Greenland Eskimos.Acta Med Scand 200:69-73, 1976. Dyerberg J, Bang HO, Hjorne N. Plasma cholesterol concentration in Caucasian Danes and Greenland West-coast Eskimos. Dan Med Bull 24:52-5, 1977. Dyerberg J, Bang HO. Dietary fat and thrombosis. Lancet. 1: 152, 1978. Dyerberg J, Bang HO. Lipid metabolism, atherogenesis, and haemostasis in Eskimos: the role of the prostaglandin-3 family. Haemostasis 8: 227-33, 1979. Endo J, Arita M. Cardioprotective mechanism of omega-3 polyunsaturated fatty acids. J Cardiol.2016 Jan;67:22-7, 2016. Mozaffarian D, Wu JH. (n-3) fatty acids and cardiovascular health: are effects of EPA and DHA shared or complementary? J Nutr 142:614S-625S, 2012. Serhan, CN. Pro-resolving lipid mediators are leads for resolution physiology. Nature 510:92-101, 2014. Krauss RM, Eckel RH, Howard B et al. AHA dietary guidelines: revision 2000: A statement for healthcare professionals from the nutrition committee of the American Heart Association.Circulation 102: 2284–2299, 2000. Are you Ready to Transform your Life? We are here to offer solutions. 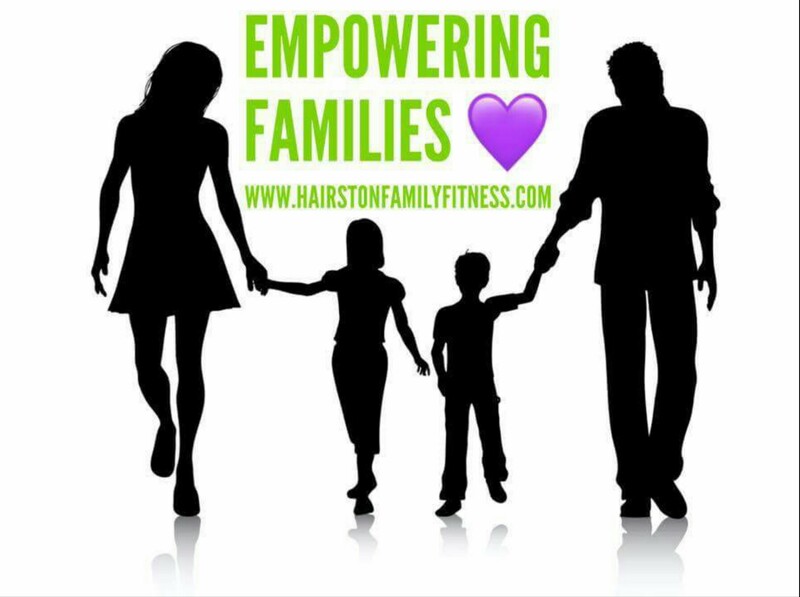 Our passion is to assist people in becoming their best self and unlocking each individuals genetic potential. We are looking for to hearing from you!